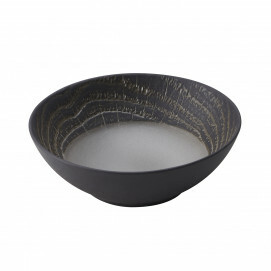 Our soup bowl from our 'Likid' collection has a shape that you won't find anywhere else. 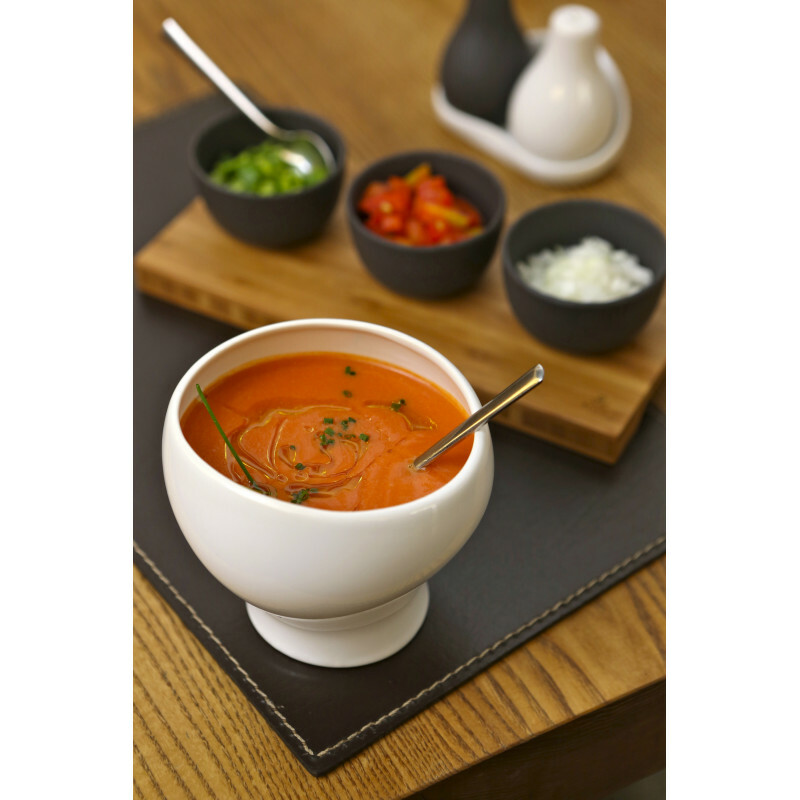 If you are looking for a modern and stunning presentation to serve your soup, you are on the right page. 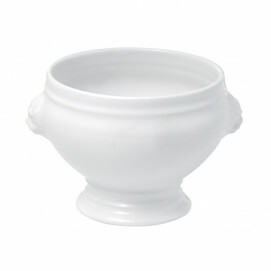 Available in white or black clay. 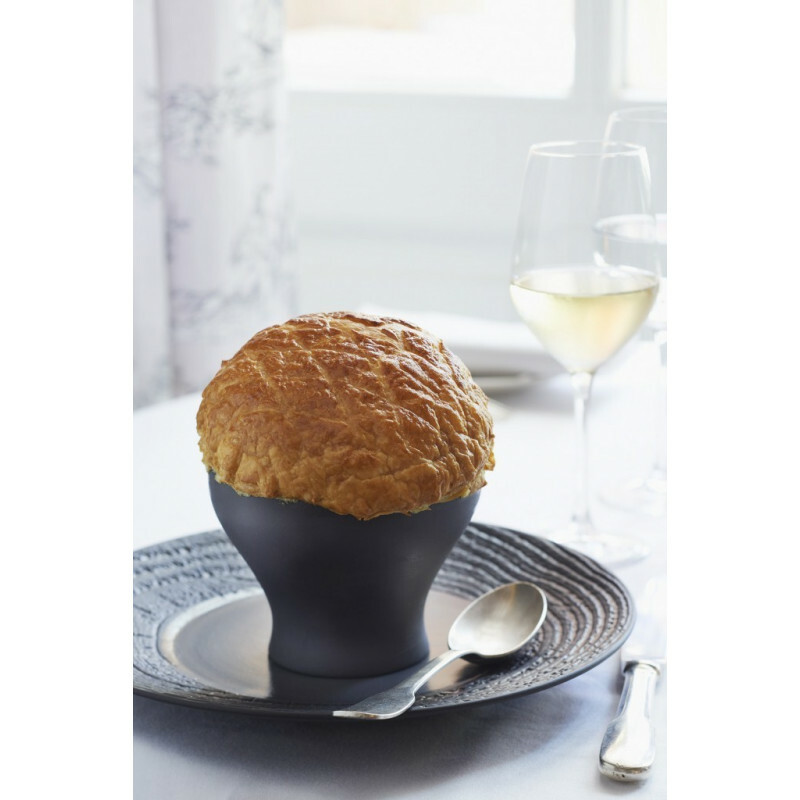 The black clay version comes with a red-glazed interior or a black-glazed interior.They are all oven and microwave safe! 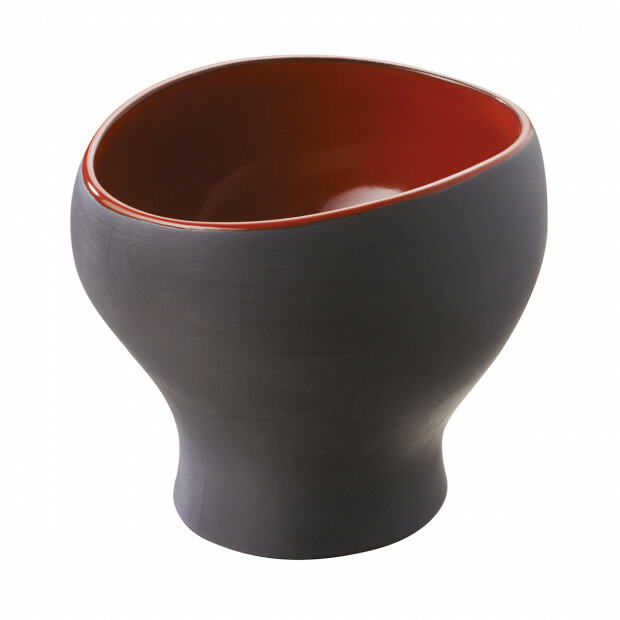 If you like the design and the colors of this soup bowl Likid, have a look at the whole collection !